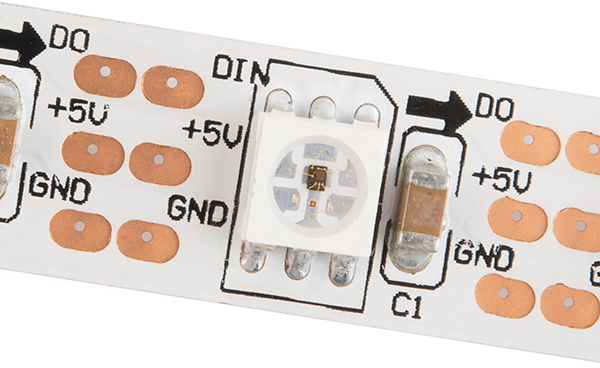 If you need an abundance of WS2812 LEDs in a slick, pre-assembled form factor these addressable LED strips might be for you. 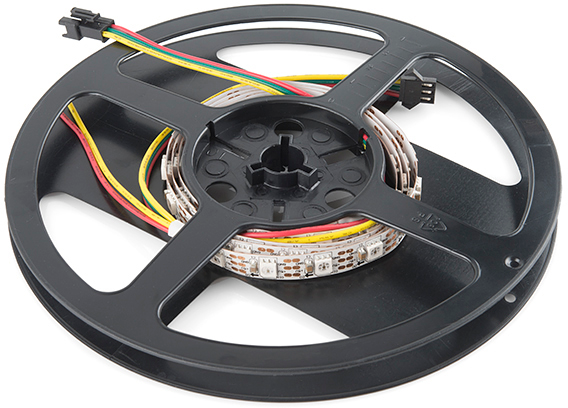 The LED strips come on a reel as shown above. The WS2812 Addressable LED strips come in a few flavors, which vary by size and sealant. You can get them in either 1m or 5m lengths, high density, or side emitting. For each length the strip, they can be either covered by a waterproof sealant or left bare. The waterproofed strips are rated IP65 -- dust tight and protected from water jets. Each strip has 60 LEDs per meter, which are spaced about 1.65cm away from each other. Vcc WS2812 power supply. Should be a regulated supply between 5V and 7V. WS2812 power supply. Should be a regulated supply between 3.3V and 5V. Data In/Out Serial data in/out. Look at arrows and labels on strip to check which it is. 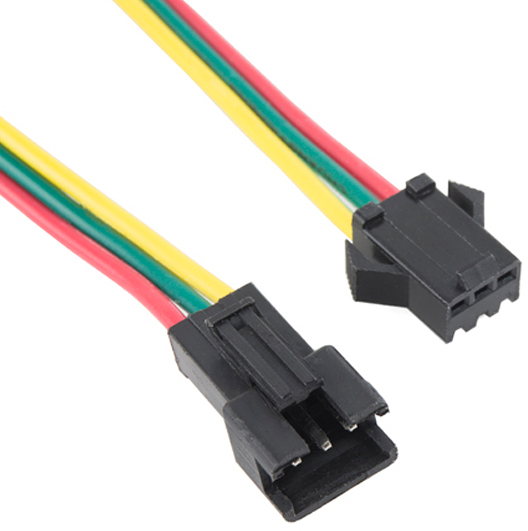 Serial data in/out. Look at arrows and labels on strip to check which it is. GND Ground. 0V. Ground. 0V.